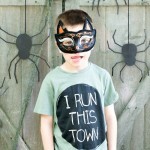 Easy to make and great for easy fun on the go, create these Easy Halloween Sensory Activities that your toddlers and preschoolers will love! 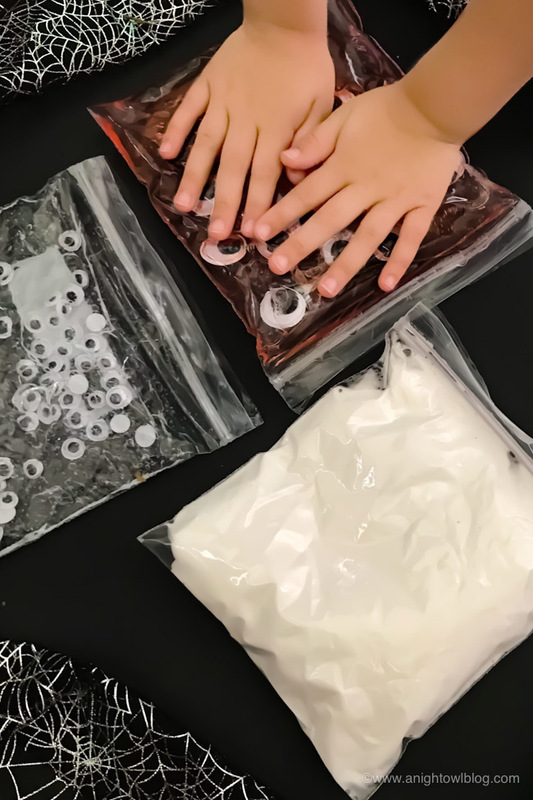 Ever since sensory bins, water beads and slime have become hits in our home I am constantly on the lookout for fun and new seasonal sensory activities for my kids! 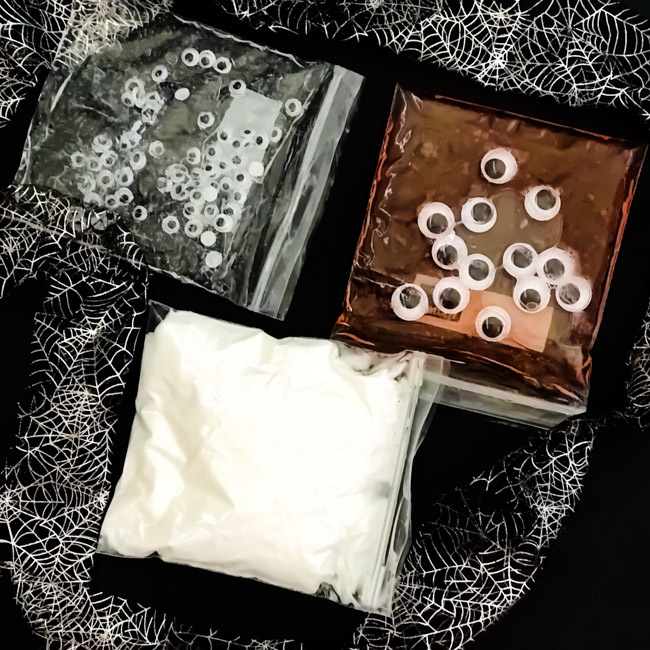 My older ones are still into slime (quite a bit), but my toddler absolutely loves water beads and sensory bins so I knew these fun Halloween Sensory Bags would be a big hit with him! And unlike huge bins, these bags are easy to whip up for easy sensory activities on the go! 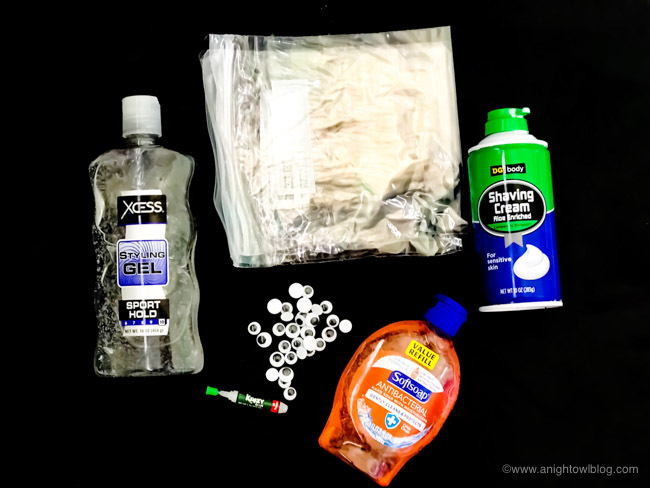 Take several ziplock baggies and fill them up with the Hair Gel, Shaving Cream, and Hand Soap. 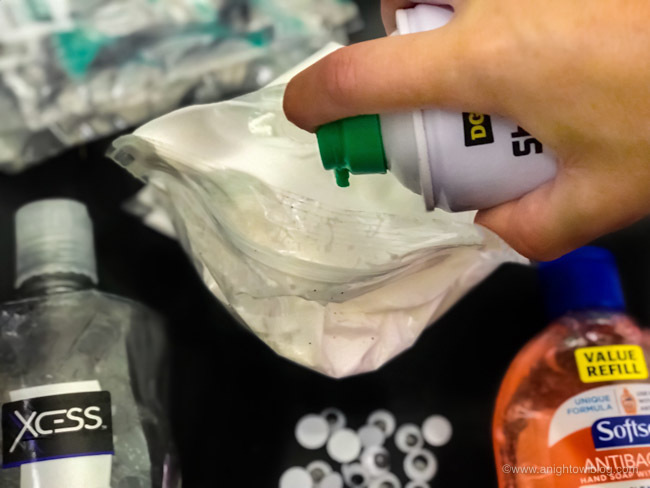 Once your baggies are filled, take a handful of googly eyes and place them in the baggies. You can even have your kiddo sort the eyes by size and then place them in the bags based on size. Close the baggies nice and tight. Next, take your super glue and glue the baggies shut to avoid your kiddo opening the baggie and making a mess. After the super glue has dried, let your kiddo play the day away! 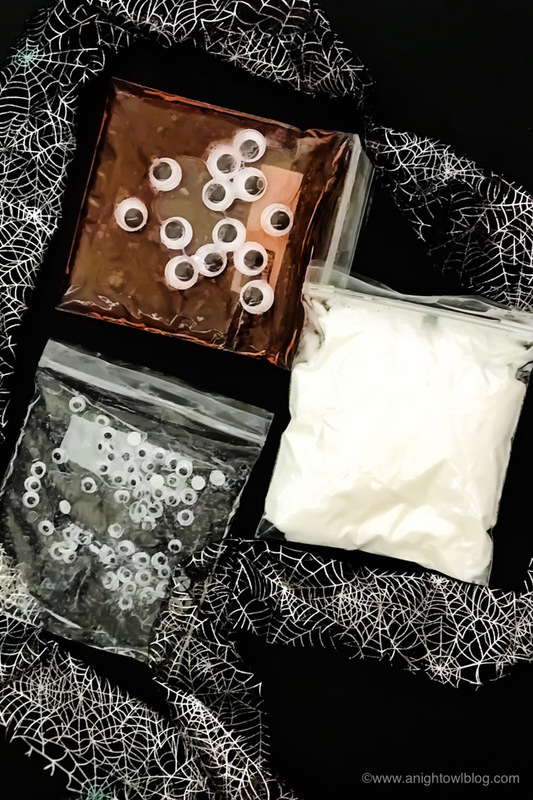 I love these ooey gooey shaving cream ghost bags and squish bags full of eyeballs. I mean, what kiddo wouldn’t want to play with them? 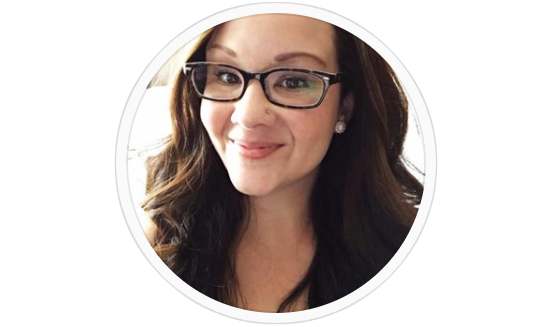 Ok, you might have a few that are a little squeamish, but for the most part they’ll jump right in! 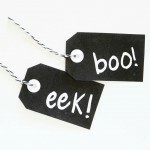 Fun and seasonal sensory activities for your preschoolers! 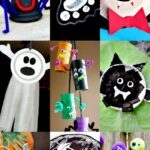 If you’re looking for MORE Halloween Crafts for Kids for this time of year, be sure to check out these posts for more eery inspiration!